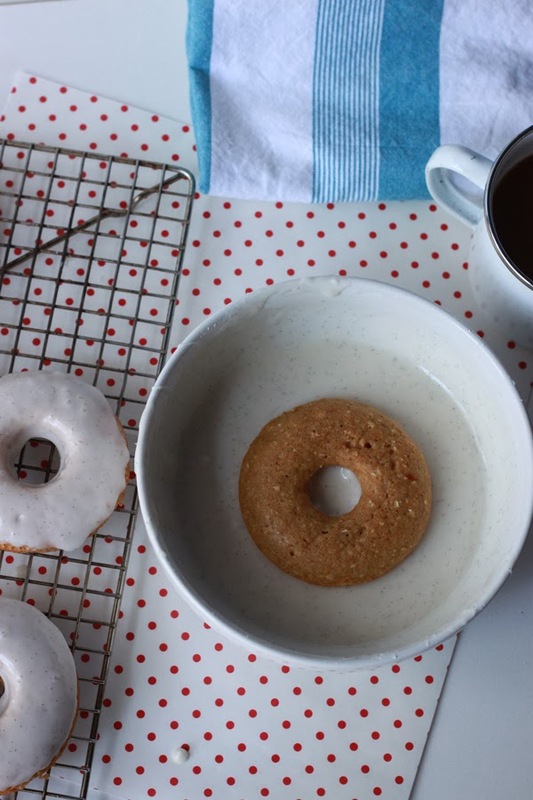 I'm sort of sorry I'm bring you these Baked Oatmeal Donuts on a Monday. Sort of. I'm also not sorry for finding another way to force help my family to eat oatmeal. You might not be able to wait until next weekend to make these. I've been battling my grandmother's cake donut recipe for about the last year and a half. When she passed away her donut recipe went with her and the few notes that are left haven't yield that taste memory for me. After another fail last month - I needed a donut win. Also because my grandmother's donuts are fried - I wanted something sort of nutritious. 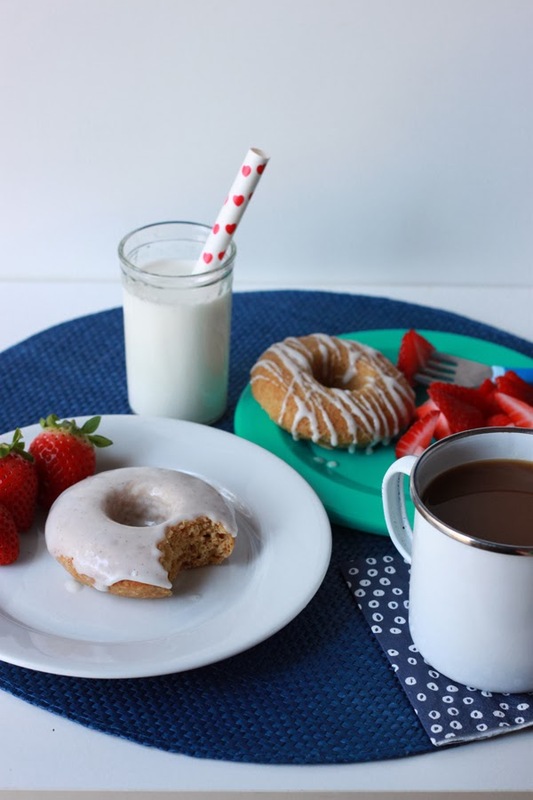 By substituting the white flour in a typical baked donut recipe for whole wheat flour and oat flour these donuts are higher in fiber and so more filling. I might even consider an unglazed one an acceptable weekday breakfast. 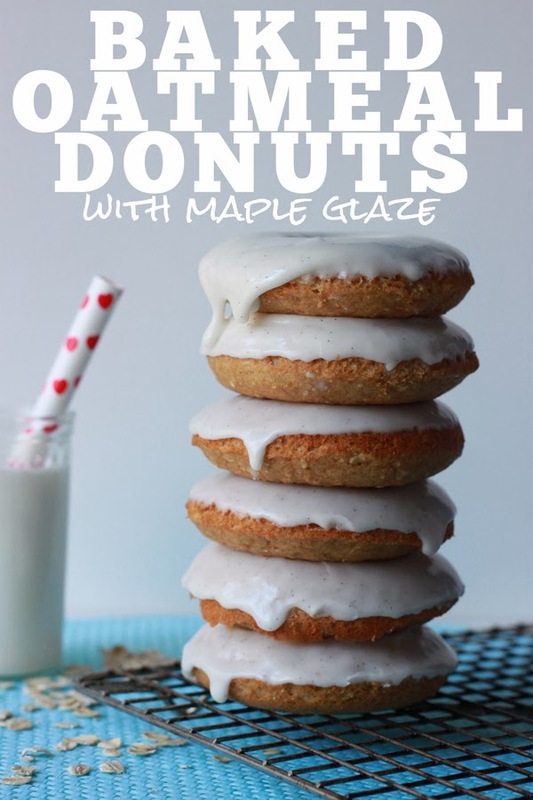 Okay, on a Monday I might consider a glazed one an acceptable breakfast. Around here we can't eat oatmeal without brown sugar or maple syrup - so I've included brown sugar in the donut and maple syrup in the glaze. 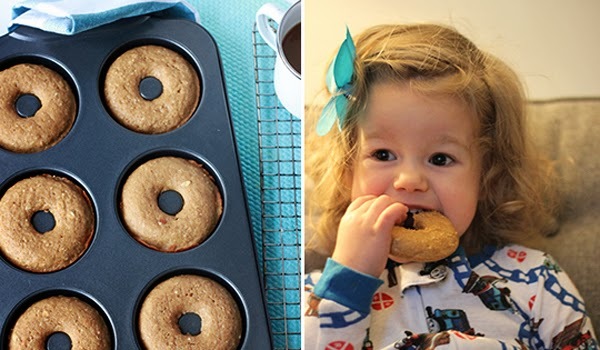 You can easily find a donut pan at your local kitchenware store or online. Heat the oven to 325 degrees F. Grease a donut pan and set aside. Whisk together the flour, oat flour, baking powder, and spices in a large bowl. In another small bowl, beat together the milk, eggs, and vanilla extract. Add the wet ingredients to the dry ingredients and stir just until combined. Move the batter to a gallon sized zip-top bag. Cut a small corner off the bag and use it the bag to pipe the batter into the donut pan. Fill each cavity about 3/4 full. 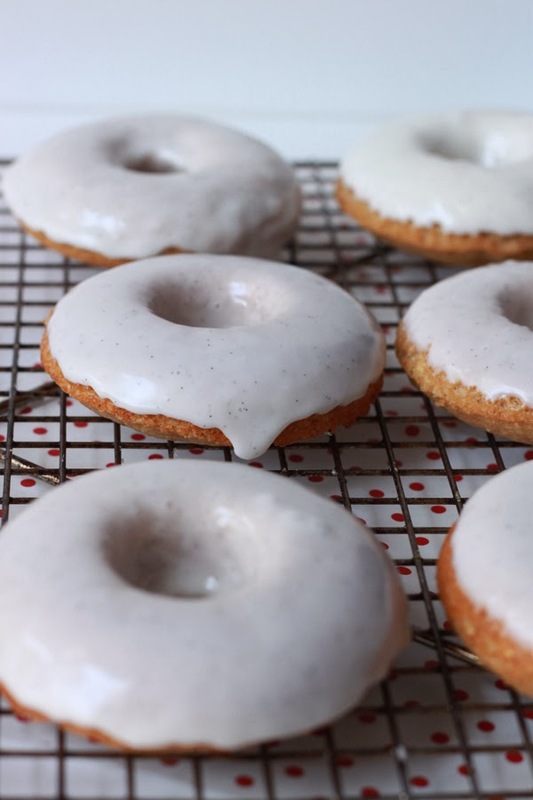 Bake for 8 to minutes of until the donuts are golden and spring back when touched. remove from the oven and remove from the pan to a cooling rack immediately. Re-grease and fill the pan until all of the batter is used. Cool the donuts completely before glazing. For the glaze: Whisk together the powdered sugar, maple syrup, and vanilla until smooth. Dip the donuts in the glaze and return to the cooling rack - let the glaze set for 30 minutes before devouring. *Make your own by buzzing rolled oats in the food processor or clean coffee grinder - 3/4 cup whole oats will yield just enough oat flour for this recipe. Shoot. Now I'm gonna have to get a donut pan….yes yes yes, I could make it in a muffin tin but where's the fun in that!? You can totally borrow mine - also Target sells them! I would but there isn't a single one left :/. These look super yum! And love that you are switching up the flours Meghan. They are super yum! I've been working on cutting enriched white flour from our life and its not nearly as hard as one might think. More on that later! Thanks Lesley - I bet we could make them gluten-free for your family with all oat flour! Worth a shot I think! I have a mini donut pan. How would the cooking time differ?